Front Tappet Cover with Heat Radiation Fin where RibDesign is Accent. Made of high-quality Aluminum forged, it is mirror-finished with careful Buffing. Mounting is easy Bolt On. For the same design "Fin Oil Filter Cover" Simultaneous installation with. 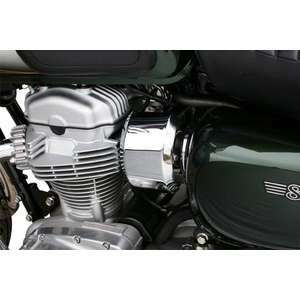 I will direct the engine of SR 400/500 to Classical more. I used zeta ungine plugs for my honda xr 250. Its perfectly fitted on my bike and its look nice after i installed it on my ride. Zeta pluge are very lihht and in real good quality and good hoice for a modification.